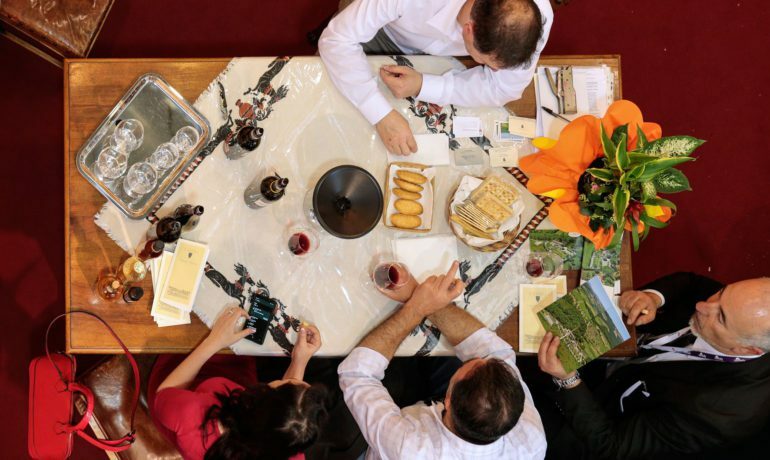 Italy’s largest wine show keeps hitting it out of the park. 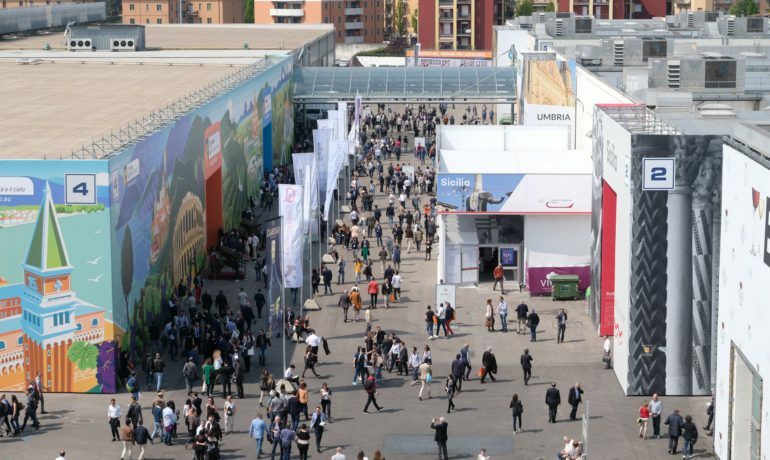 There were 13 halls dedicated to legendary and lesser-known (Abruzzo, Calabria, Liguria, Valle D’Aosta) wine regions found in Hall 12. 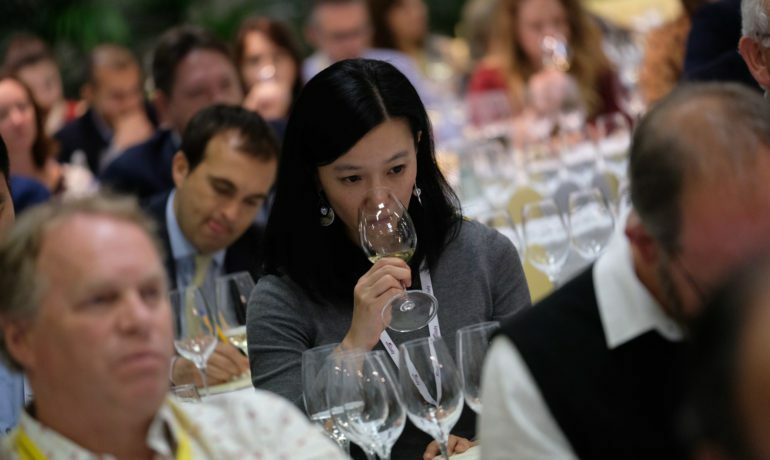 More than 128,000 visitors from 143 countries were in attendance, including 32,000 accredited wine professionals. It was virtually impossible to discover all the show had to offer. Parking was designated a good distance away from the neighborhood where Veronafaire is located, making it necessary to park at large parking lots like the Verona Sports Stadium and taking the complimentary buses, which were mostly overfilled! The industry is trending toward bio, organic and the slow food/wine movements. 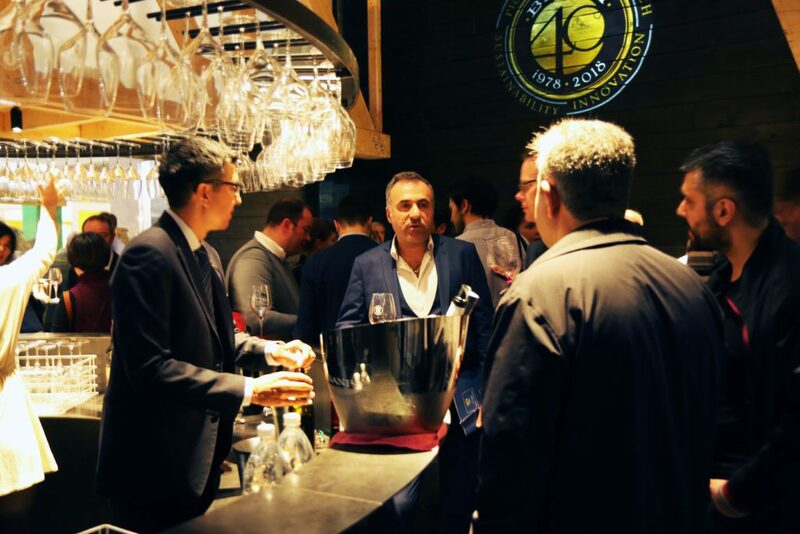 Industry leader Castello Banfi has achieved a milestone celebrating its 40th anniversary. Long-term employees have begun to witness significant vineyard replantings and a changing of the guard. 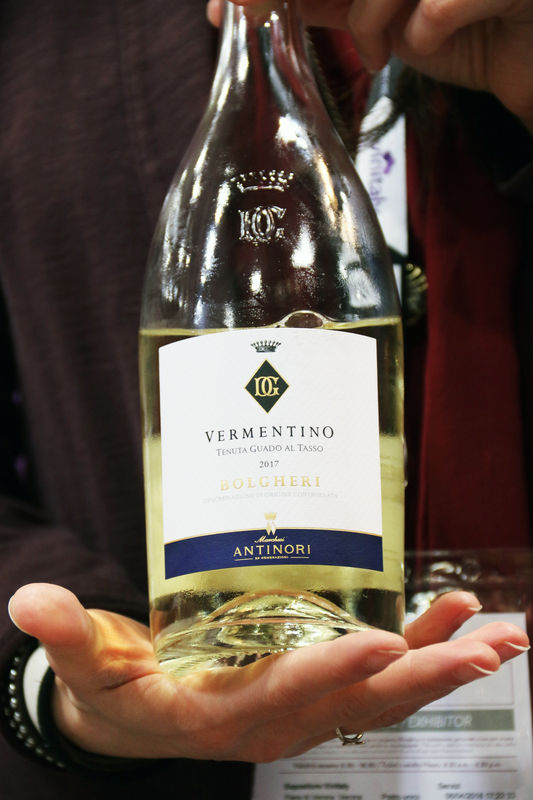 A perfect, bubbly party wine with clean fruit and food-friendly firmness! Deep ruby red, violets, dark fruit and cigar box flavors. This is the newest vintage with tremendous aging potential! 100% Sangiovese. 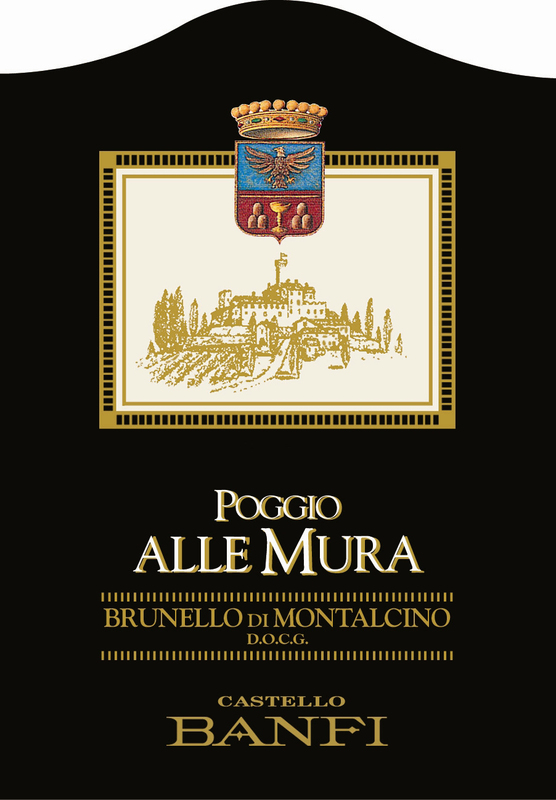 Intense ruby color, voluptuous violet and plum flavors, a great “Baby Brunello”! A blend of 40% Sangiovese, 35% Cabernet Sauvignon, 25% Syrah. Intense red color, with walls of ripe cherry and plum flavors. This flagship wine is ideal for a very special celebration. Only 8,000 cases made. Banfi Vintners was also featured at the Opera Wine Tasting showcasing Wine Spectator’s 100 Best Italian Wines with their Castello Banfi | Brunello di Montalcino Poggio alle Mura 2012. Marchesi Antinori was also featured with their Antinori | Bolgheri Superiore Guado al Tasso 2013. 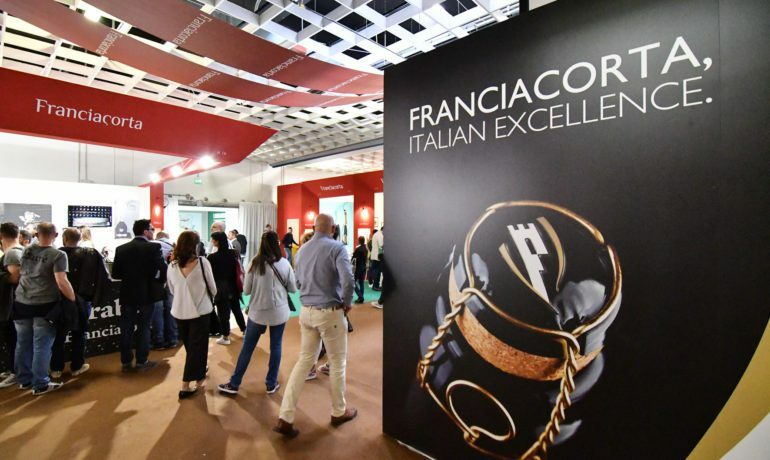 This event happened on the Saturday before the opening of VinExpo at the Palazzo della Gran Guardia, and hosted a packed house of industry professionals all struggling with the crowds to taste wines that scored up to 100 points! Marchesi Antinori has also launched a new ultra-premium winery in Chianti Classico called (Bruciachati), recently completed with an exciting new restaurant. 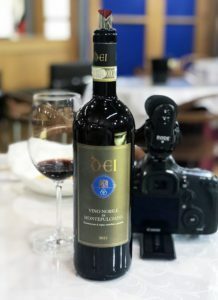 “The focus is on iconic wines,” said daughter Aleggra Antinori, who also brought her 18-year-old son Niccolo to give him a taste of how the family business deals with customers and the press before he heads to Milan to pursue a business degree. 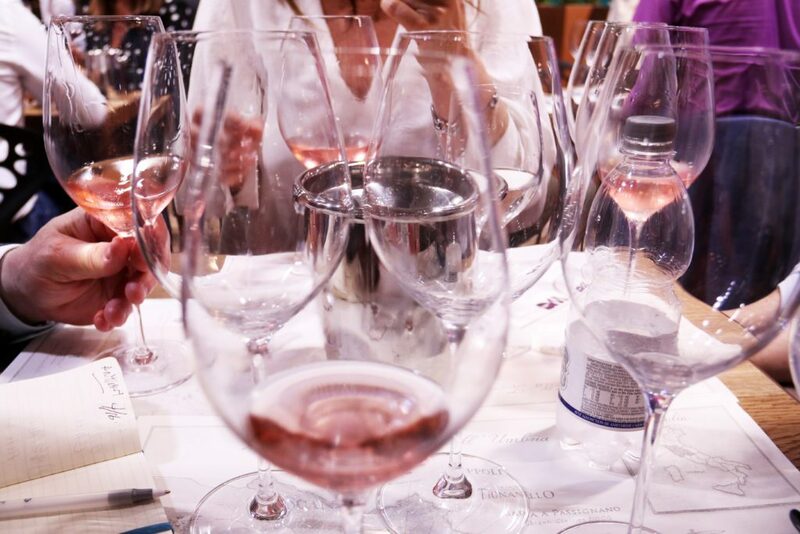 Aleggra led the tasting of wines from their Guado al Tasso Estate in Bolgheri. Pale straw and green hues, fragrant fresh citrus aromas with hints of a maritime climate. This wine screams food friendly! One of our favorite Rosé wines from Italy! Made from a blend of Cabernet Sauvignon, Merlot, and Syrah. Light coral pink color with bright pink hues. Ripe cherries, raspberries and cotton candy with a hint of saline (the sea). This is the perfect wine for the beach or sitting at the pool. Pair with any food! A blend of Cabernet Sauvignon, Merlot, and Syrah. Deep purple color. Ripe berry fruits with pepper and minty notes. Made from 100% Merlot. Deep purple color. Dark dried fruits, blueberry flavors, and a spiciness. Aged in French oak for 9 months. A delightful blend of 62% Cabernet Sauvignon, 18% Merlot, 18% Cabernet Franc and 2% Petit Verdot. A rich blend of ripe berries, dried fruits, tobacco, and leather. Lay this wine down until 2020 or beyond. The Consorzio de Montepulciano de Vino Nobile had a big presence this year showcasing more than X producers and poured a great selection of wines with the assistance of the Italian Sommelier Association. Salcheto had a unique urban styled booth showcasing their biodynamic wines from furnishings made from shipping containers and recycled packaging. Tenuta Sette Cieli, a boutique producer based in the Monteverdi Marittimo area, adjacent to the land of Super Tuscans (Bolgheri) overlooking the Mediterranean Sea. 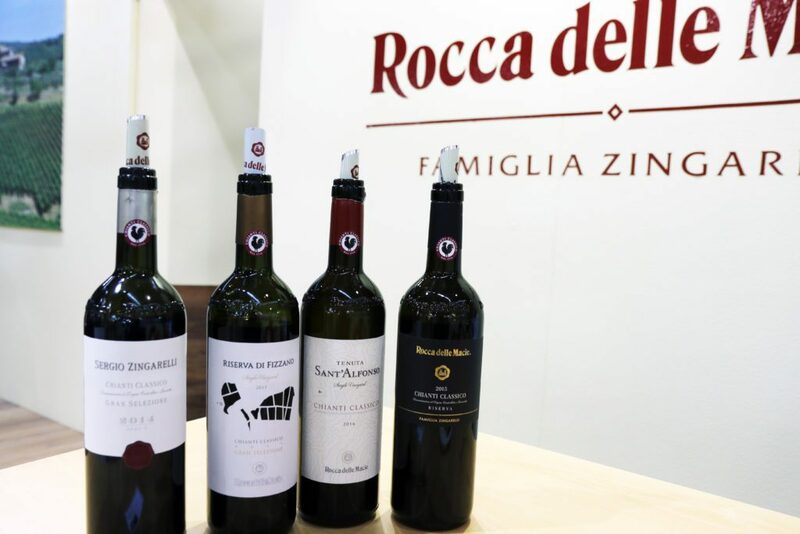 They poured the latest vintages of their Bordeaux varietals at VinItaly. The company is lead by one of Italy’s most talented/experienced female winemakers, Elena Pozzolini. A blend of Cabernet Sauvignon (60%) and Merlot (40%). 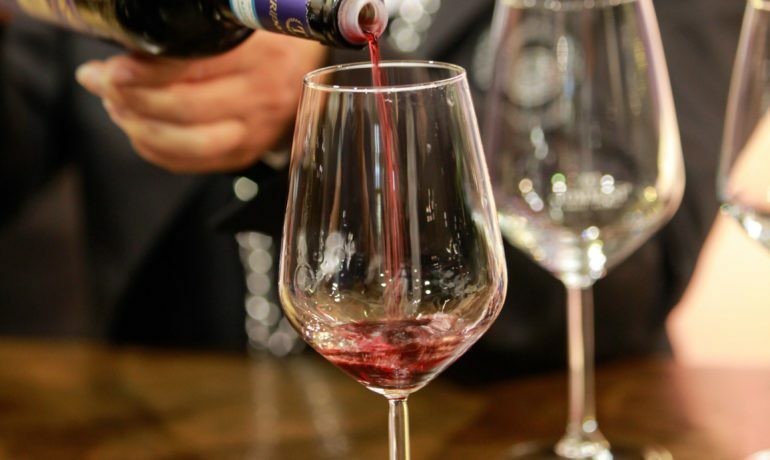 Dark Opaque Color that is common with red wines from the Bolgheri area. Aged for 15 months in barriques. This is a ripe and fresh wine that pairs great with meats and cheese. Born from grapes that are grown in the Bolgheri area. A blend of Cabernet Sauvignon, Merlot, Petit Verdot, Cabernet Franc. Aged in French oak for 14 months. A lively and respectable red. A blend of Malbec, Cabernet Sauvignon, Merlot. This almost opaque wine has hints of blackberry and cedar. Made from 100% Cabernet Franc. Aged 2 years in Oak, 2 years in bottle. Deep purple color, this a seductive, smoky wine with a long finish! There were many food options at the show ranging from quick bites like pizza or Paninis to food trucks lined up across the street from the show selling sausages, Sicilian street food, and kabobs. But at the rear of the halls was a foodie’s delight featuring “The Citadels of Gastronomy” in area H. We tried the Ristorante Piemonte featuring cuisine by Chef Davide Palluda of All’Enoteca Restaurant – Canale, Cuneo – a 1 star Michelin winner. His two-course menu at 40 Euros included traditional meat pasta, fish, with a glorious ice cream dessert, paired with a selection of Piemonte sparkling, still and dessert wines. This show is a must-attend for anyone who wants to focus on Italian wines as part of their profession. The show happens every April after Easter. Hotels in downtown Verona are booked a year in advance of the show, so prices are as steep as the Alps! As an alternative, many wise travelers elect to stay 30 minutes away in Peschiera del Garda, which is a picturesque tourist area with beautiful views of Lake Garda and filled with reasonably priced restaurants offering pizza, pasta and ultra-fresh seafood. 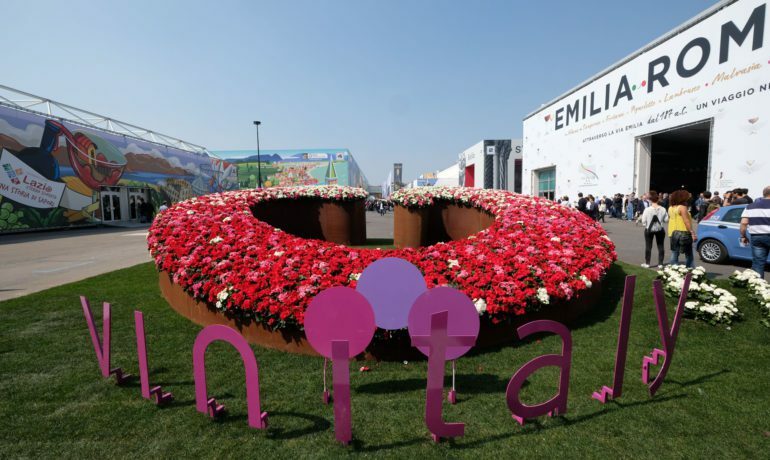 VinItaly 2019 will take place April 7 to 10, 2019.